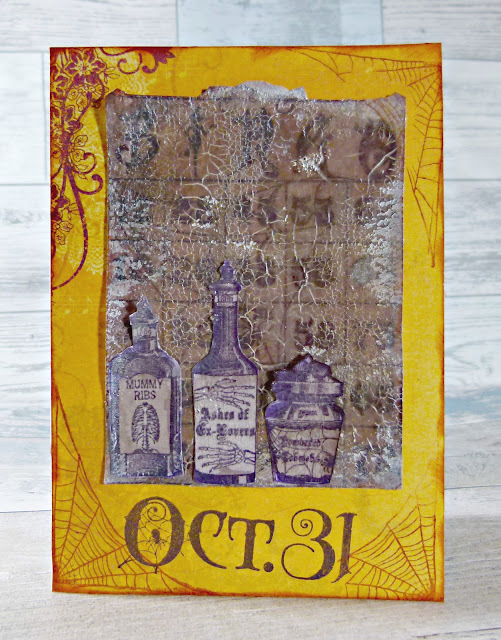 Here is another Halloween card made using Sin City Stamps! Cover the card with patterned paper. 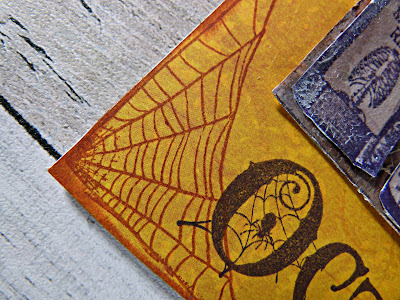 Stamp cob webs into the corners of the card. 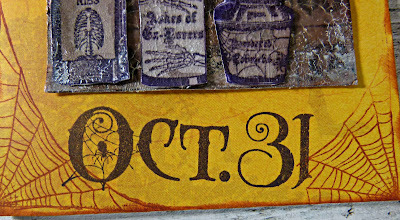 Stamp the bingo stamp onto card stock and ink over with brown ink. 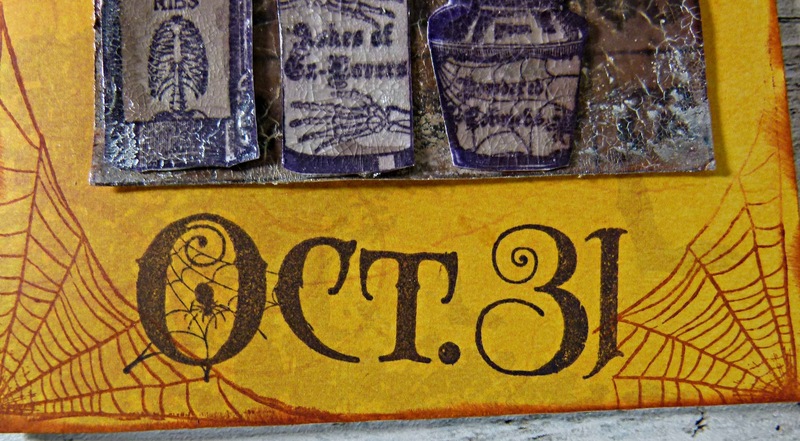 Allow to dry and then paint over with the crackle medium. 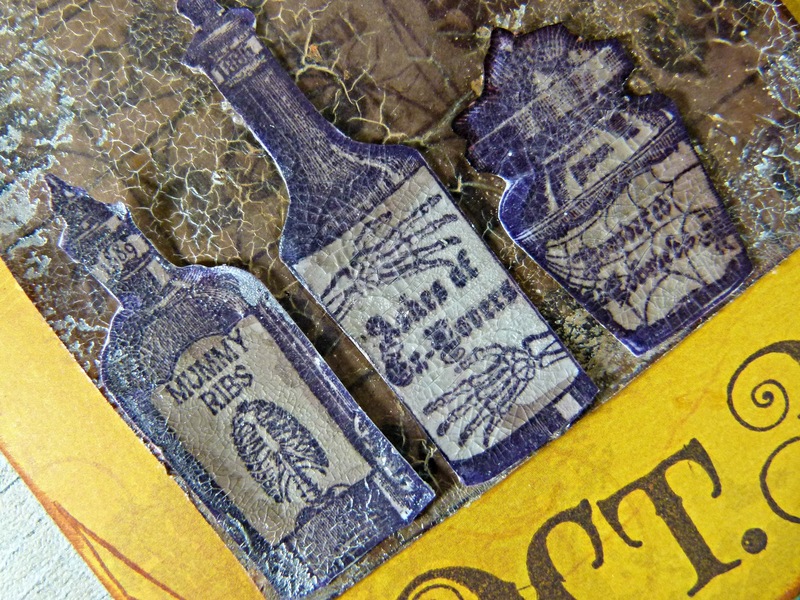 Once set dry brush with white paint and wipe off excess. 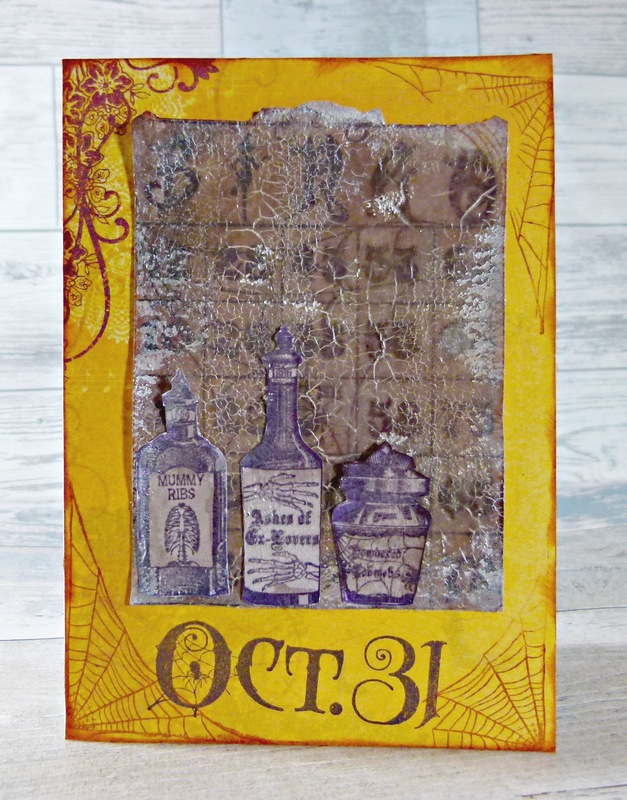 Stamp out potion bottles and brush with brown ink. 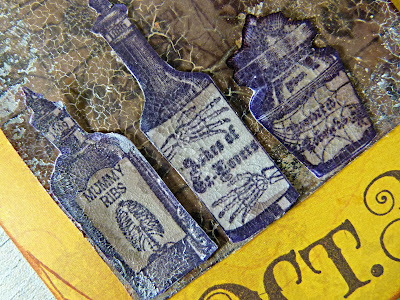 Add crackle medium to the bottles and once set dry brush with white paint. Cut them out and adhere them to the corner of the bingo card.